October 3-31, Wed.-Fri., 12-5 p.m.; Sat. 10 a.m.-5 p.m. This October, Nickel Plate Arts Studio Artist Lesley Haflich will decorate the walls of our Stephenson House art space with a collection of art that pays homage to a special set of local citizens. 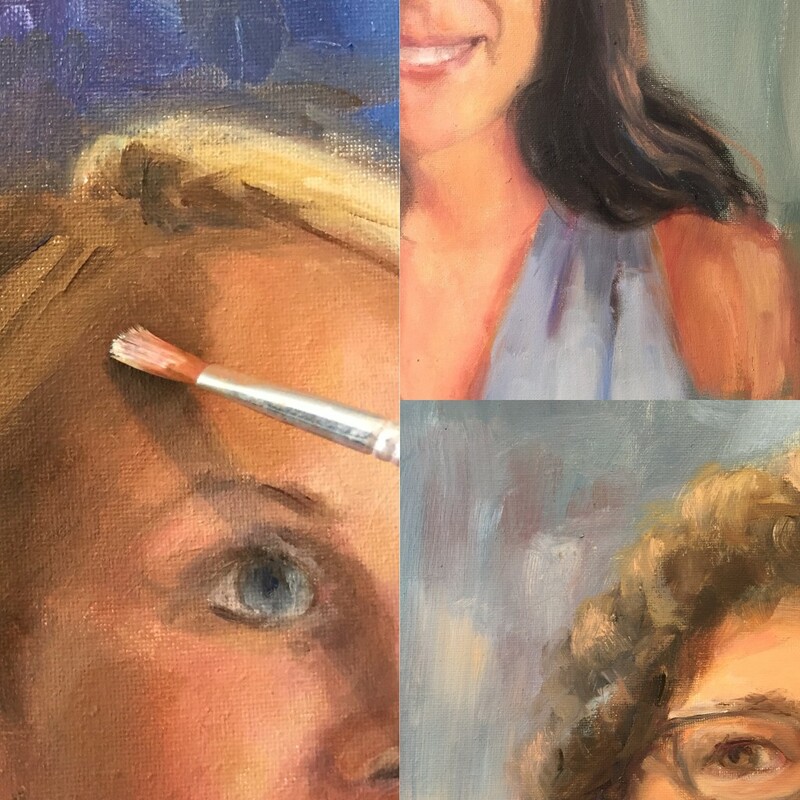 Her new “Women of Noblesville” series depicts painted portraits of local ladies who have contributed positively to the Noblesville community. Law enforcement, local artists, city leaders, business owners, and more will grace the gallery walls from October 3-31 in an exciting, not-to-be-missed exhibit. Following a private viewing for her subjects, local arts patrons are welcome to view the exhibit during First Friday on October 5th from 6-9pm in addition to our normal gallery hours: Wednesday - Friday from noon - 5pm and Saturday from 10am - 5pm.